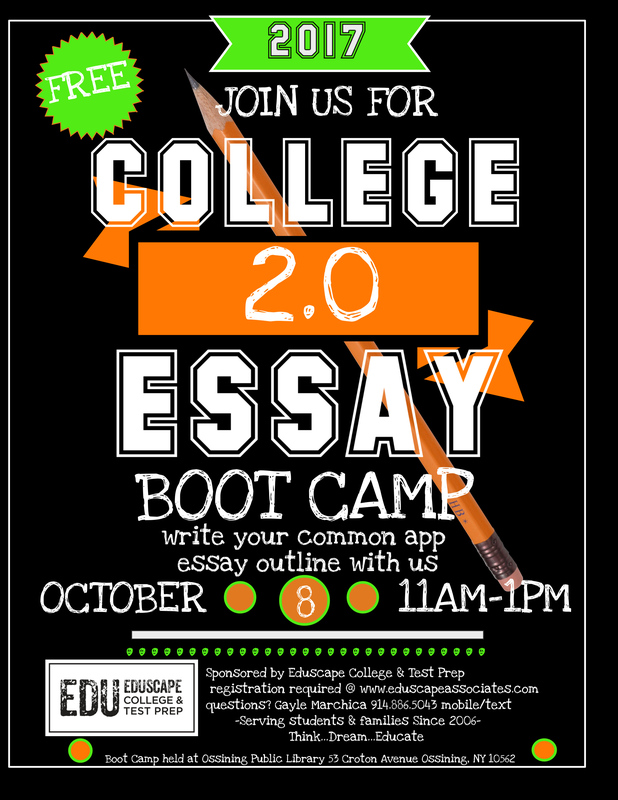 We encourage high school seniors getting ready for the SAT to take this Boot Camp to get your common app essay outline written. Eduscape gets your children prepared and comfortable. 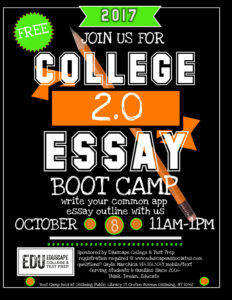 Visit Eduscape Associates website today to reserve your child’s seat as space is limited.